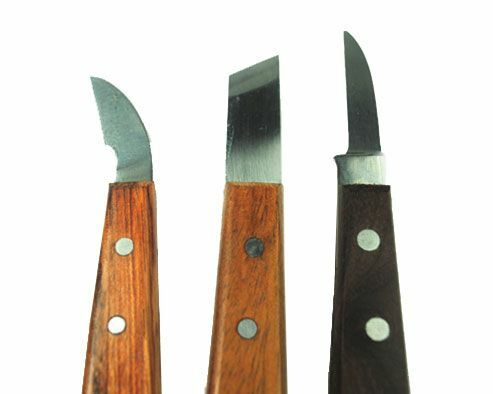 Set x 3 Sheffield made straight, skew, curved, wood whittling carving tools. Total size including handle 160mm. Of metal tool carbon steel is the best steel for this job. Check out our other listings as we have hundreds of hard to find hand tools.